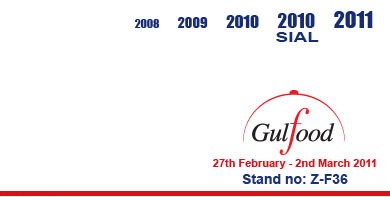 Cafe Culinaire is a real gourmet restaurant & bar specially built by Emirates Snack Foods LLC for Gulfood 2011 in Zabeel Hall (Z-F36), next to the Salon Culinaire. 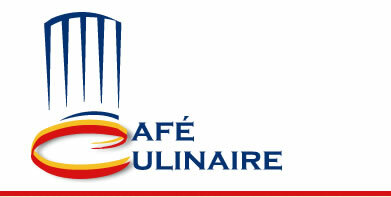 Café Culinaire is a real gourmet restaurant & bar specially built by Emirates Snack Foods LLC for Gulfood 2011 in Zabeel Hall (Z-F36), next to the Salon Culinaire. Café Culinaire will serve breakfast, lunch and Hot & Cold beverages throughout the day and we invite you to savour a choice of food and beverage delights prepared by our company's Chefs with the products from our partners Barilla, Riso Gallo, Sosa, Ponthier, Fabbri, Ferrarelle, Kimbo, Big Train, Dilmah, red espresso, Monbana, Achenbach, Pietro Coricelli, Michel Cluizel, Familia, Mutti, Le 5 Stagioni, South African specialties and many more. Come meet us for Business and Pleasure in Café Culinaire’s pleasant and comfortable environment: book your table early to avoid disappointment.